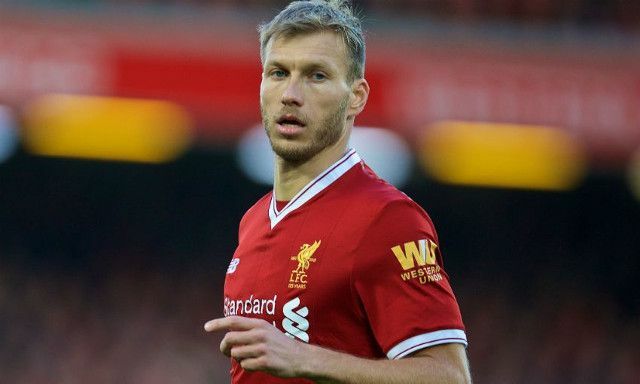 Liverpool completed the sale of Ragnar Klavan on Friday as Jurgen Klopp epitomised his dedication to youth development at the club. The Estonian completed a permanent move to Serie A side Cagliari for a fee of £2million after spending two years on Merseyside. Klavan made 53 appearances and scored twice in that time on his way towards something of a cult hero status following his surprise arrival from Augsburg in July 2016. Suggestions in recent weeks that Klavan would be leaving before the end of the foreign transfer window proved divisive in light of injuries to Dejan Lovren and Joel Matip ahead of the start of the season. Nonetheless, it seems Jurgen Klopp’s decision to part ways with the 32-year-old stems from a faith in young defender Nathaniel Phillips. The Mirror’s Northern Football Correspondent David Maddock was quick to highlight the Liverpool manager’s desire to polish the 21-year-old’s talent following a bright pre-season with the senior team. Klopp sanctioned move for Klavan to Cagliari, despite injuries to Lovren and Matip, because of strong desire to offer route into squad for young players. Nat Phillips has big potential and #LFC boss keen to encourage and develop him. Klavan’s move will also undoubtedly have come down to his own aim of securing regular first-team football over the latter stages of his career, which he was never guaranteed at Liverpool. With Lovren’s return date still uncertain and question marks looming over Matip’s form, the exit of Klavan also recognises Klopp’s trust in Joe Gomez to build a reliable partnership with Virgil van Dijk. The Englishman has been given a welcomed opportunity to begin his transition into a permanent central role having featured primarily at right-back last season. Gomez crucially fulfilled his need for a promising start with a stern performance beside Van Dijk in Liverpool’s 4-0 win against West Ham on opening day. Whilst the scoreline depicted a comfortable day for the Reds, Gomez was tasked with stopping a Marko Arnautovic who made his intentions of pinning onto the 21-year-old clear from the off.